Gondolas provides transport by cable railway from Czarny Potok to the top of Jaworzyna Krynicka. Gondolas run also to the ski station located in the massif of Jaworzyna Krynicka. Gondolas on Jaworzyna Krynicka is the longest and most modern cable railway of its kind in Poland. But the attractions available do not end only on that. There are many ski lifts and ski runs, as well as cycling and pedestrian routes . Currently there are 7 ski slopes. 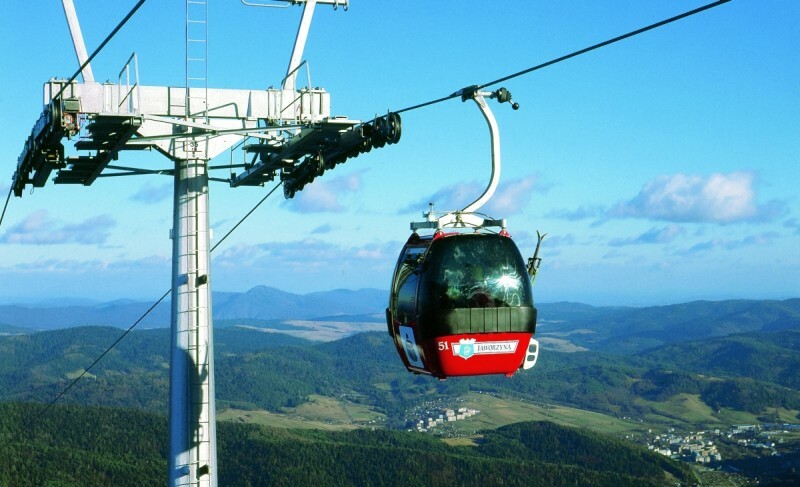 All routes are equipped with lifts of Slovak’s company Tatrapoma, and also with a snowmaking systems. In addition, Route I, II, III are equipped with artificial light so skiers can ski at night.